Ghostbusters (2016) – WHO IS THE MAN FROM KRYPTON? 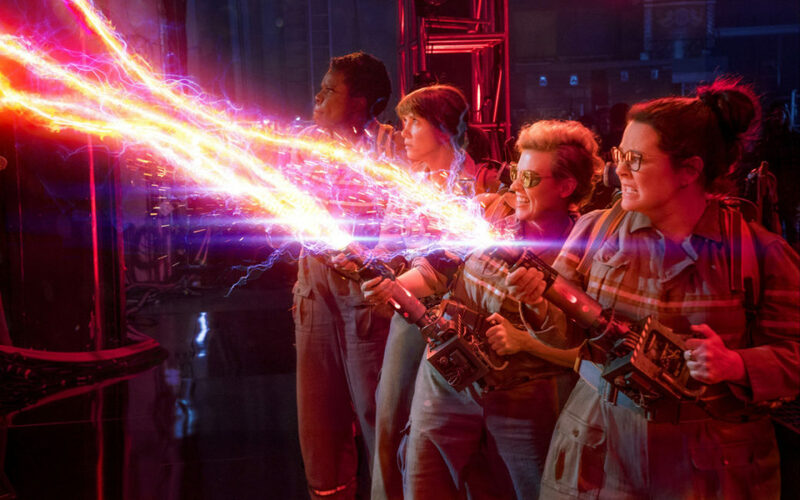 ‘Ghostbusters’ could have been so good, Paul Feig is a pretty good comedy director, the cast have great comedic performances to their names, Ghostbusters, as a story element is very hard to get wrong, but somehow they squandered all this potential. The story itself, for the most part, is great, relatively simple, with some great spectacle pieces throughout, as well as some nice storytelling and character building. The effects were very good, very believable and at times really impressive, especially with the designs of the various ghosts, it was a huge part of what made the film watchable. The cast were fine, with the exception of Chris Hemsworth whom by far had the best jokes with such perfect delivery, it seems like extra effort was put into his character and it really shows, especially when compared to the lacklustre main four. Melissa McCarthy, Kristen Wiig, Kate McKinnon and Leslie Jones are not usually unfunny actors, at least, not to this extent. All the characters have their occasional funny moments, but they also have a lot of moments that fall, hard. Kate McKinnon’s character by far has the most contrast between being genuinely funny in one scene and then another being an insult to comedy. A lot of the soundtrack was a remix of the classic Ghostbusters song and while none of the remixes were bad, some were pretty good, it just screams derivative through and through as if the film was afraid to stand on its own merits. Speaking of which, the inclusion of previous actors from the series felt so forced it broke the illusion of film, especially when, for one character in particular, that they build up and you know who it’s going to be before they show them and it just feels like squandered potential.